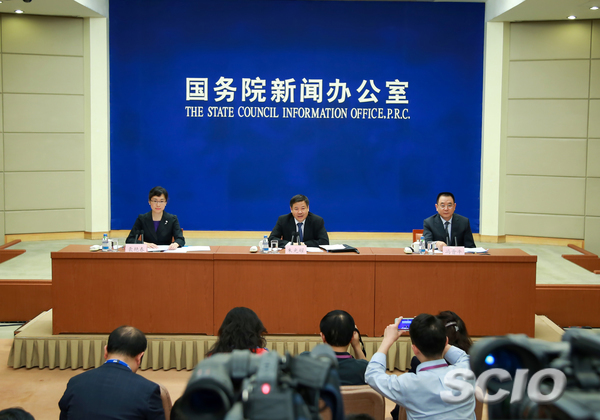 At the State Council policy briefing on June 1, Vice Finance Minister Zhu Guangyao was invited to share details about reducing import tariffs for daily consumer goods. At the State Council executive meeting chaired by Premier Li Keqiang on May 30, it was decided that import tariffs for daily consumer goods would be further reduced. This is considered good for expanding China's opening up, meeting diversified consumer demands, and pushing product quality improvement and industrial upgrading. According to a statement released by the Customs Tariff Commission of the State Council on May 31, import tariffs for daily consumer goods will be cut starting from July 1. The reduction covers 1,449 taxable items, from an average tariff rate of 15.7 percent to 6.9 percent. On average, the tariffs were cut by 55.9 percent. "Reducing import tariffs for daily consumer goods can help expand the import of characteristic goods and superior goods, and meet people's demand for a better living, which better reflects our people-centered development. It can also help create an equal market environment, and deepen the supply-side structural reform of consumer goods," Zhu said. Zhu stressed that the tariff cut is China's initiative, and also among the country's important measures to expand opening up. It shows that China is closely connected with the world economy, and demonstrates its firm support for the global multilateral trading system, with WTO as its core. Zhu expressed the hope that the move can expand the import of daily consumer goods, enrich domestic consumption choices, thus making the prices of daily consumer goods fall. "To make policy dividends truly pass to the hands of consumers, and let them get more benefits," Zhu said. As for consumption demand upgrading, Zhu said that brand building is very important. "To create more high-end, high-quality domestic consumer goods competing with world-famous brands, we need to regulate market orders, and take severe measures against fake and low-quality goods. In this way our consumers can shop nearby without worries," Zhu said. "China's manufacturing also needs further improvement. China's design and brand building still have a long way to go," Zhu said. "Chinese enterprises will continue to reform and upgrade product quality."